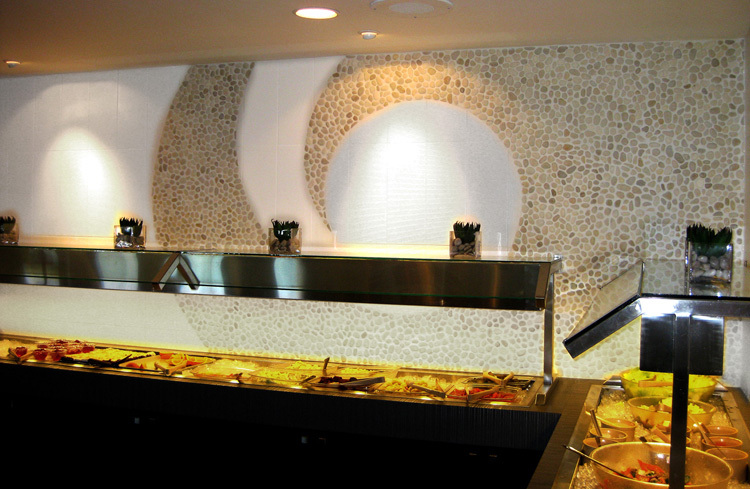 This beautiful restaurant in Edmonton shows good taste not only on the menu but on this fantastic wall using our Beach Pebbles and Solid structure white. The project is signed by Marie Hebson at Interiors By Design. Szechuan Castle is a casual family buffet style restaurant, you can sit and order individual courses, but you should try the buffet first. Here is the info on Szechuan Castle: 15415 - 111 Avenue Northwest - Edmonton. Phone (780) 484-6060.